In My Mailbox is hosted by Kristi over at The Story Siren, for her IMM and more details regarding this meme, please visit her blog! It's just a small one this week, with only 2 books. I've been trying to hold off on buying books recently since I still have so many that I need to read!! 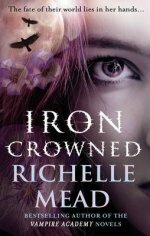 First off I bought Iron Crowned by Richelle Mead. I am yet to read the second in this Dark Swan series but I thoroughly enjoyed the first one so I thought I would purchase the 2nd (In my first mailbox post) and the 3rd. 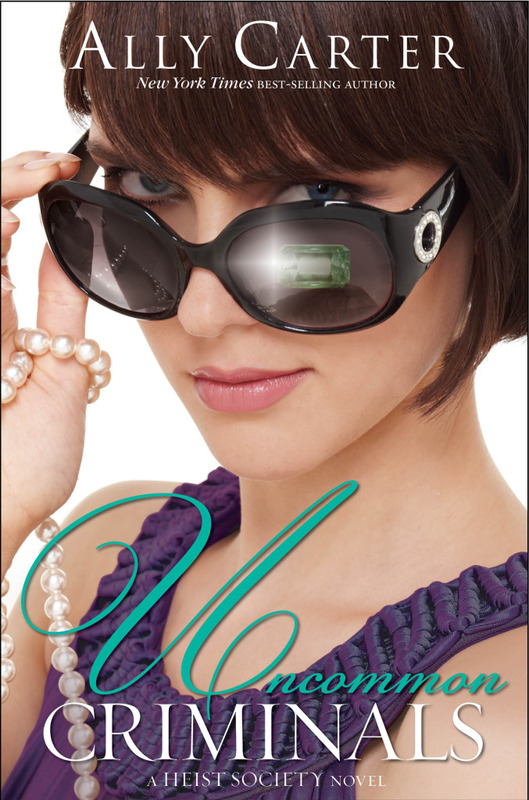 Next I have Uncommon Criminals by Ally Carter, if you follow my blog you know that this was featured in an earlier post. You will also know that I was trying to convince myself not to buy it since I already had so many books to read. Well I got as far as finishing the post about it then i picked up my keys, hopped in my car and purchased it. I've nearly finished it and I am so far really enjoying it! Thirdly, I picked up the kindle edition of Bright Young Things by Anna Godbersen. The kindle version is free for a limited time if you would like to check it out! I heard about this one from Stephanie's blog; Books are a Girls Best Friend. Bright Young Things looks really good!! Super, have just downloaded Bright Young Things, been hearing good things about it. I've also got a ton of books I haven't read yet, but sometimes a new one sounds just way too tempting to resist buying! @ Sashem and Siobhan, I'm looking forward to reading Bright Young Things, I had only recently heard about it! I was lucky to see it for free from Kindle! @Tyraa, I love Richelle Mead, I hope you enjoy them! @ K R Weinert I agree, more of my money goes to books than to anything else!! Really great books! I want to read Bright Young Things. New follower:)Happy Reading! I so want to read Bright Young Things, it looks brilliant! Uncommon Criminals is really good. Enjoy. I also got Bright Young Things on my Kindle for free this week. Can't believe I forgot to mention it in my vlog! we got uncommon criminals this week too. great IMM this week--enjoy and happy reading! Great mailbox! I love Richelle Mead. Iron Crowned sounds awesome! Enjoy! Nice IMM. I am a huge Anna Godsbersen fan myself.